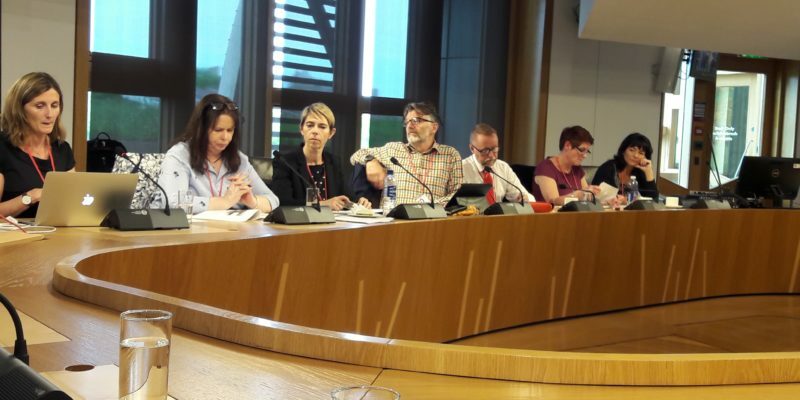 The Cross Party Group on Health Inequalities jointly hosted a meeting on the 22nd of May with the Cross Party Group on Improving Scotland’s Health 2021 and Beyond to discuss the topic of health inequalities and unhealthy environments. The meeting was jointly chaired by Clare Haughey MSP and David Stewart MSP. Dr Niamh Shortt from the University of Edinburgh presented her research on how the environment shapes our health, health behaviours and resulting health inequalities, with a focus on alcohol and tobacco environments in Scotland and the role of retail density. Hilda Campbell from COPE Scotland spoke about her work in the community in Drumchapel. Her focus on what is needed is to empower communities to affect the change that they need and want. To find a new way of doing things: by asking people what they want to change in their own area, we can empower those directly affected by clustering to be leaders of the change.